Online teachers’ perceptions of online teaching standards published in 2006 by the Southern Regional Education Board (SREB) and the National Education Association (NEA). Interviews with two teachers from each of the four online schools were studied following an online survey of 49 online teachers from these schools. Overall, participants reported that both sets of standards as being important but found the NEA standards to be slightly more relevant to their practice. The qualitative data, both interviews and open-ended questions on the survey, revealed these themes related to the national standards: concerns about the language of the standards; the standards’ failure to acknowledge how much the roles of individual online teachers vary, depending on the school and course model; differentiation between online and face-to-face teaching; aspects of the standards participants endorsed; omissions participants perceived in the standards; participants’ lack of awareness of the standards; and the importance of online teachers having experience as online learners. The paper concludes with recommendations for policy and research. Smith, R.D. (2009). Virtual Voices: Online Teachers' Perceptions of Online Teaching Standards. Journal of Technology and Teacher Education, 17 (4), 547-571. Waynesville, NC USA: Society for Information Technology & Teacher Education. Retrieved April 20, 2019 from https://www.learntechlib.org/primary/p/28195/. Albion, P., & Maddux, C. (2007). Editorial: Networked knowledge: Challenges for teacher education. 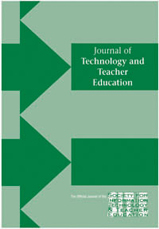 Journal of Technology and Teacher Education, 15(3), 303-310. Darabi, A. A., Sikorski, E. G., & Harvey, R. B. (2006, May). Validated competencies for distance teaching. Distance Education, 27, 105-122. Darling-Hammond, L., & Bransford, J. (Eds.) (2005). Introduction. Preparing teachers for a changing world: What teachers should learn and be able to do (pp. 1-39). San Francisco: Josssey-Bass. Davis, N. E., & Roblyer, M. D. (2005, Summer). Preparing teachers for the “schools that technology built”: Evaluation of a program to train teachers for virtual schooling. Journal of Research on Technology in Education, 37(4), 399-409. Dennen, V. P., Darabi, A. A., & Smith, L. J. (2007, May). Instructor-learner interaction in online courses: The relative perceived importance of particular instructor actions on performance and satisfaction. Distance Education, 28, 65-79. Ferdig, R.E., Cavanaugh, C., Di Pietro, M., Black, E.W., & Dawson, K. (2009). Virtual schooling standards and best practices for teacher education [Special issue]. Journal of Technology and Teacher Education, 17(4), 479-502. Garrison, D. R., & Anderson, T. (2003). E-learning in the 21st century: A framework for research and practice. New York: Routledge-Falmer. Goodyear, P., Salmon, G., Spector, J. M., Steeples, C., & Tickner, S. (2001). Competences for online teaching: A special report. Educational Technology, Research and Development, 49(1), 65-72. Sammons, M. (2003). Exploring the new conception of teaching and learning in distance education. In M. G. Moore & W. G. Anderson (Eds. ), Handbook of distance education (pp. 387-397). Mahwah, NJ: Lawrence Erlbaum.